A little over a month left! But first up, Australian cover art for tri. Part 5! 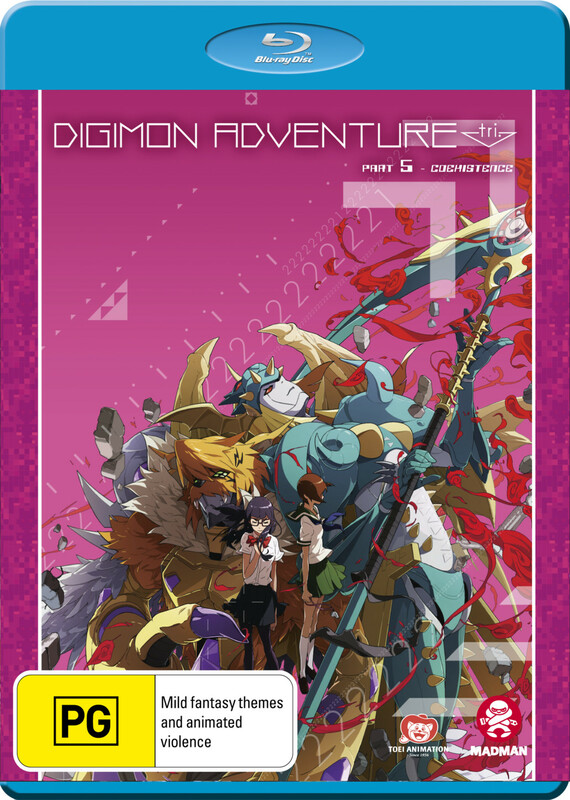 As with most of the prior Australian releases, it uses the theatrical cover art with the 'flat' tri. style logo. 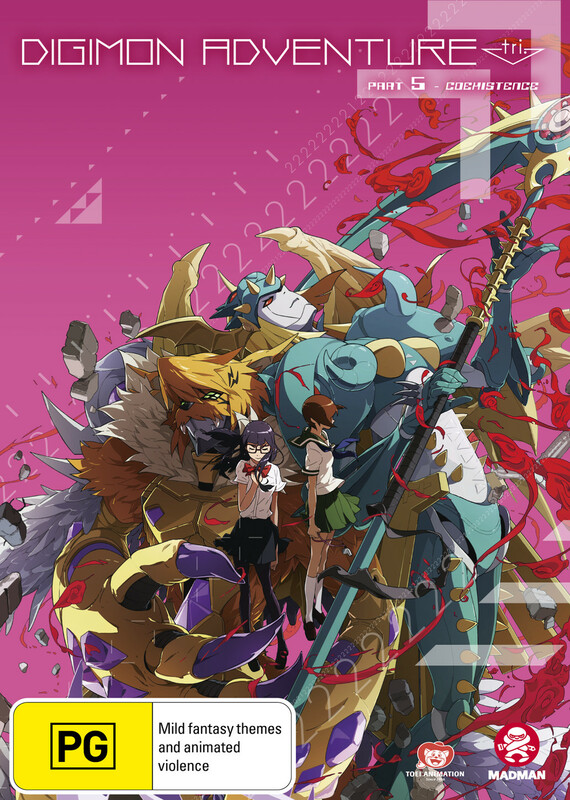 And then... pre-orders for the Australian release of Digimon Adventure tri. Part 5 are open in Australia! It will be released November 1st and the Blu-ray is $35 and the DVD is $30. Both are listed as one disk with both English and Japanese audio, and English subtitles, same as prior releases. The Australian release will be based off the US release from Shout, the same as the UK release was. It will include the interview with Johnny Yong Bosch bonus feature. The USA release from Shout Factory came out in August and we did a full breakdown. The UK release from Manga UK also came out in July and we also did a breakdown of that release. Thanks to Lost in Translationmon for the heads up.